I've been wearing a lot of neutral makeup lately, and I've gotten so bored of that! Yikes! I wanted to glam it up this weekend, so I created a deep smoky eye with a lot of flash. A really sultry look with pizazz. A "notice me" kind of a look. I used some blue hues, and topped them with a black, multi-colored glitter that is edgy and gorgeous! This is the kind of look that I imagine myself wearing with a black leather jacket, jeans, and spiked heels. I love the attitude of this smoky eye! 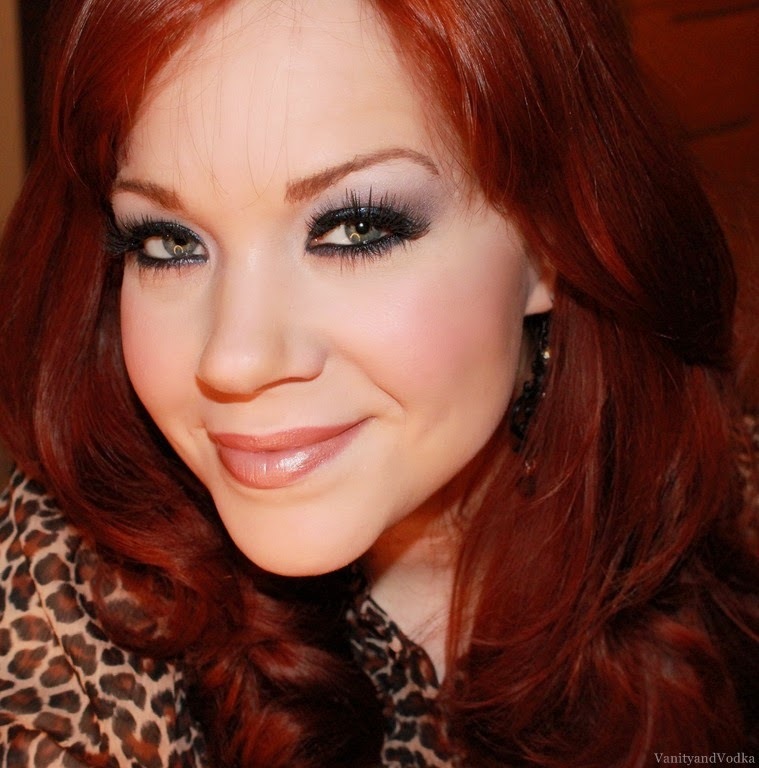 ♥ The Body Needs mineral shadow in Bombay blending lid color to crease. I totally love this sassy smoky eye! This can work with ANY color set! Purples, greens, browns... The options are endless. Thank you so much for stopping by. I truly love it when you do. Ooh la la! Great smoky look! How can anyone not notice a girl like you?